Has Isaac Heeney already taken Mark of the Year? 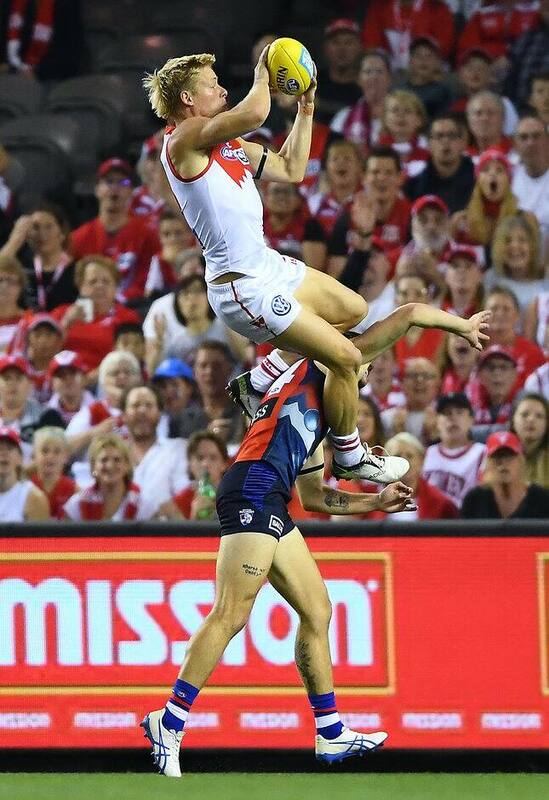 ISAAC Heeney has started 2019 in a similar fashion to the way he ended his 2018 - taking brilliant marks while sitting on opponent's heads. The high-flying Sydney forward soared over Western Bulldogs defender Bailey Williams in the second minute of their clash at Marvel Stadium, taking an early contender for the JLT Mark of the Year. Heeney won the 2018 Mark of the Year with a stunning grab over then-Melbourne forward Jesse Hogan at the MCG in round 20. There's a long way to go in 2019 but it's a brave pundit who'd suggest that Heeney's mark won't be one of the top contenders at the pointy end of the season.